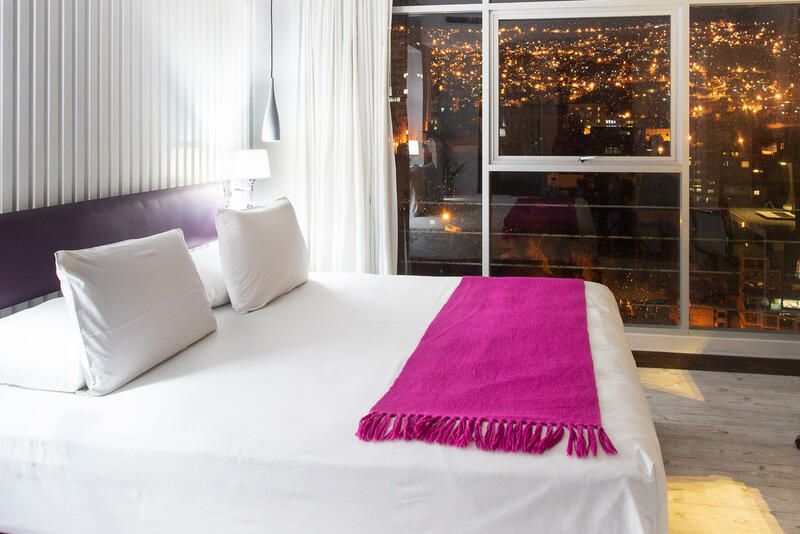 Chic in style and trendy in décor, the 39 guest rooms and one suite at Stannum Boutique Hotel & Spa offer a contemporary luxury retreat in one of the best locations in La Paz, Bolivia. 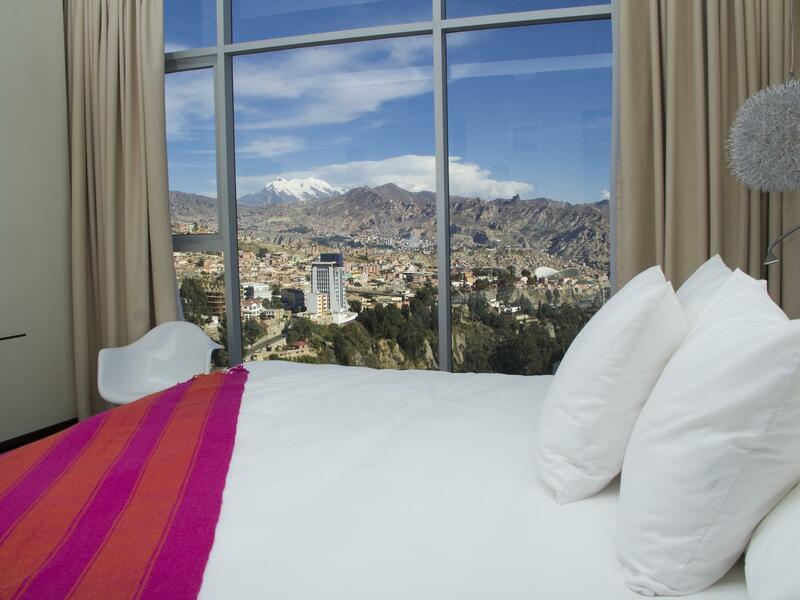 All accommodations are equally suited for business or leisure stays and offer incomparable views of downtown La Paz and the mountains surrounding the city. 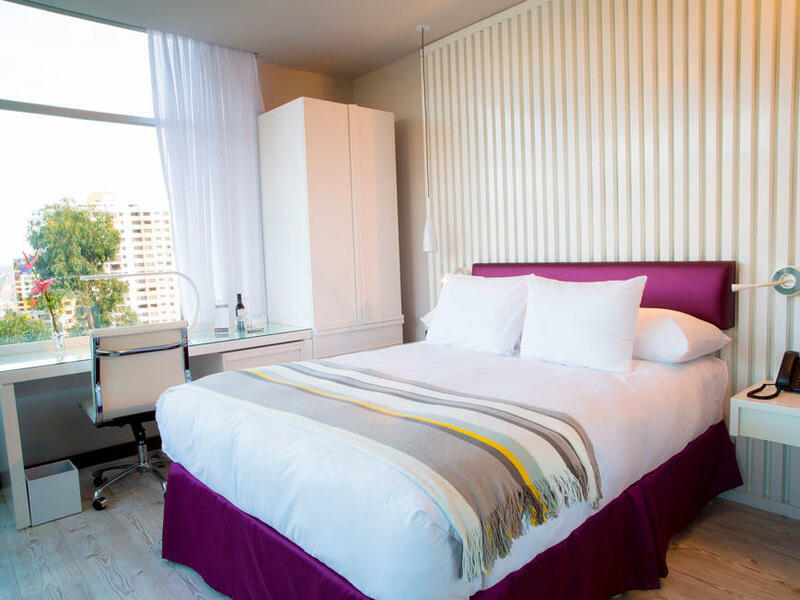 Each room is equipped with plush comforts and tech-savvy appointments like free W-Fi, a mini fridge, a mini bar, pillowtop bedding, comfy bathrobes and a flat-screen television with cable channels. The perfect room for solo travellers, wheter you are on business or leisure travel. 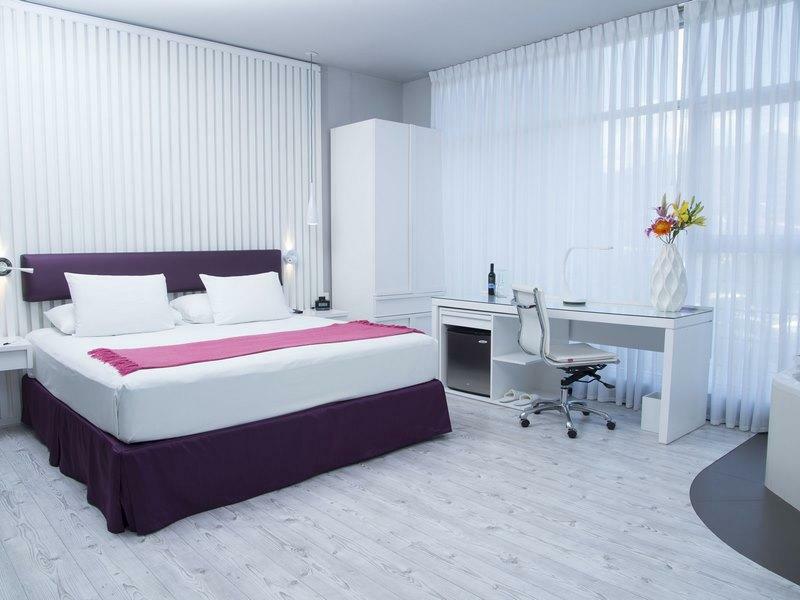 Bright and spacious, perfect for a full relaxing night sleep, it has 2 full-size beds. Ideal room for couples, enjoy the stunning views of the city while staying in a sophisticated and intimate space design to offer the upmost luxury. 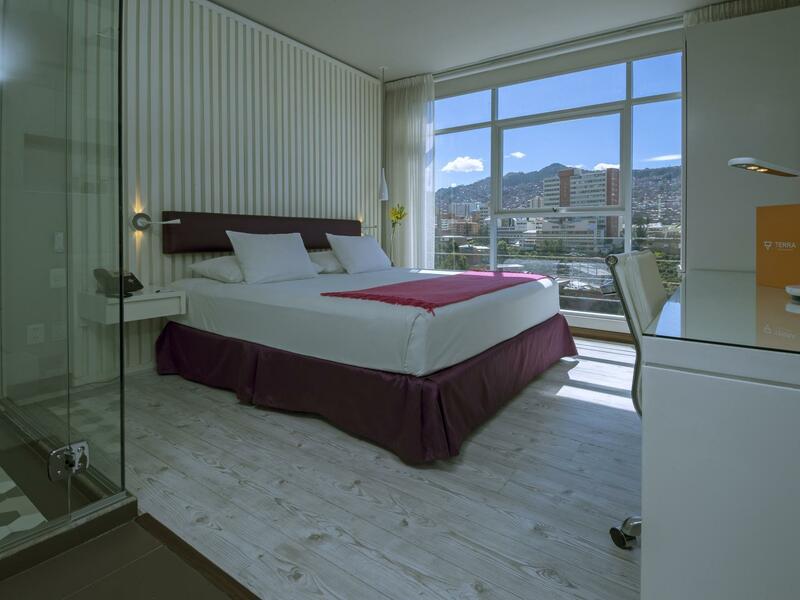 Exclusive design and sophisticatedly decorated room, it has a King-size bed, from this room you can appreciate amazing views of the city and the illimani Mountain. 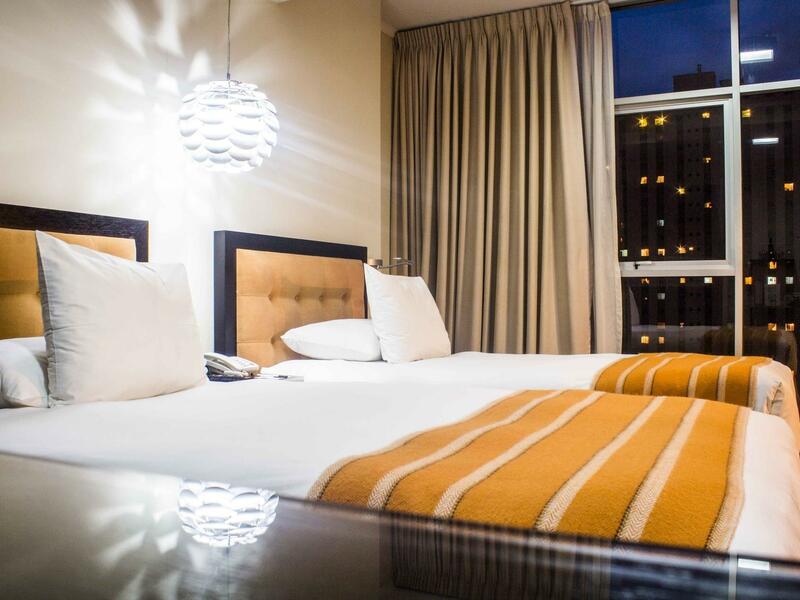 A spacious suite with King-size bed, jacuzzy, walk in shower, large work desk, heating and air conditioning. You can appreciate panoramic views of the city.